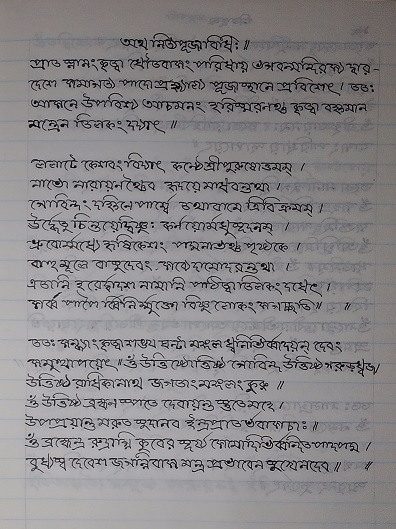 It is my personal preservation of personal collection of the scritptures. 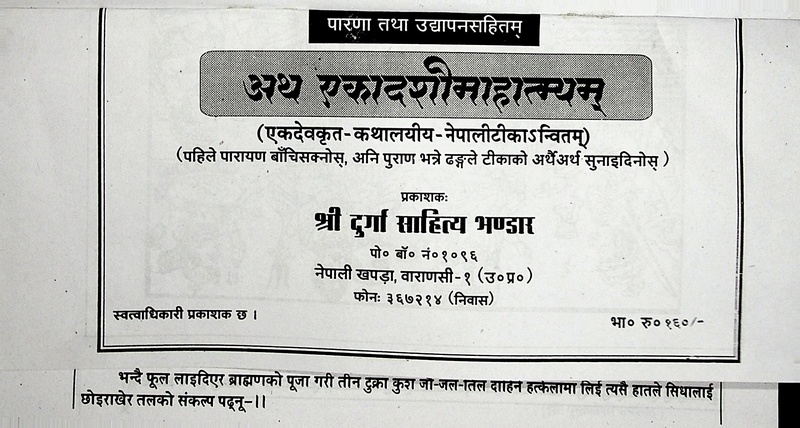 My project is not affiliated with any commercial organisations. 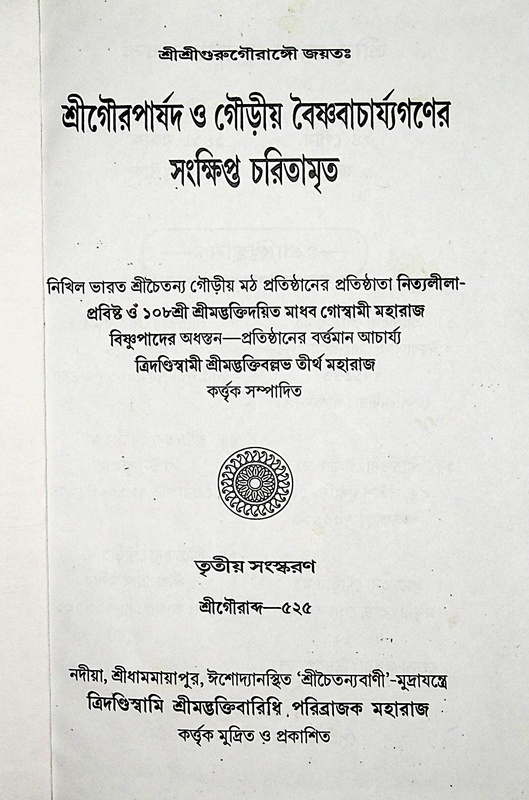 The copy right of the books will remain with the original publishers. 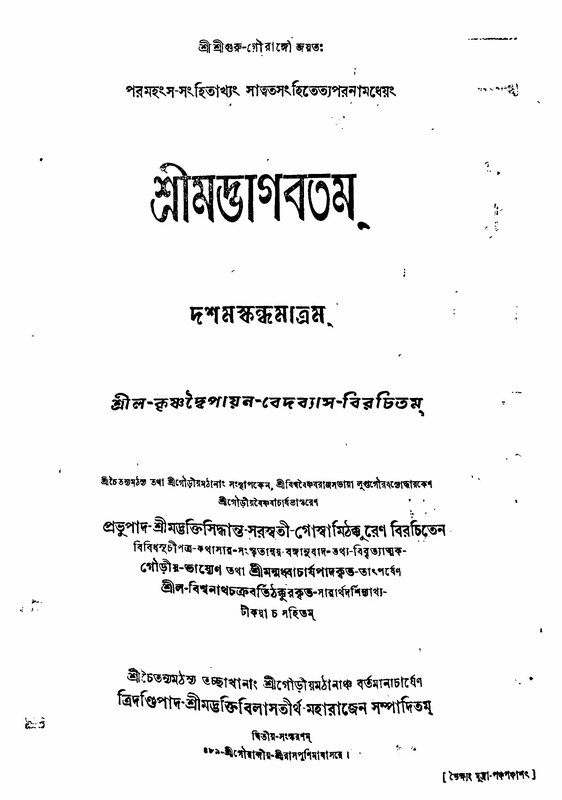 Publisher: Sri Chaitanya Saraswat Math, Nabadwip, West Bengal, India. 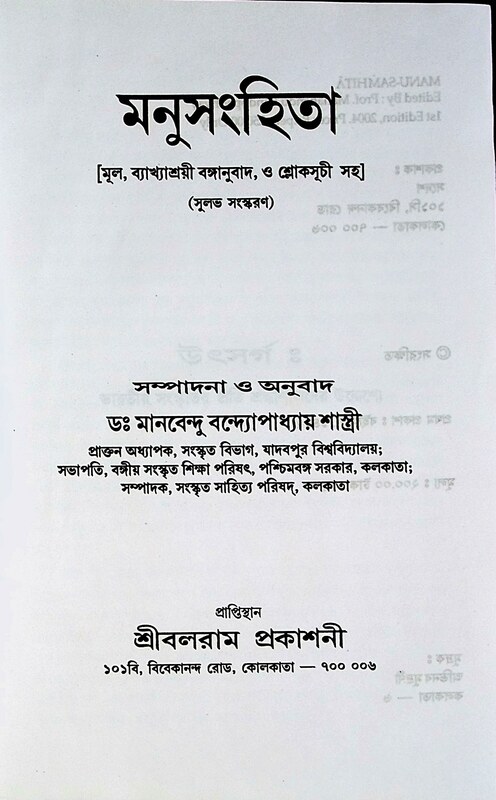 Publisher: Sri Saraswata Gaudyia Mission, Nabadwip, West Bengal, India. 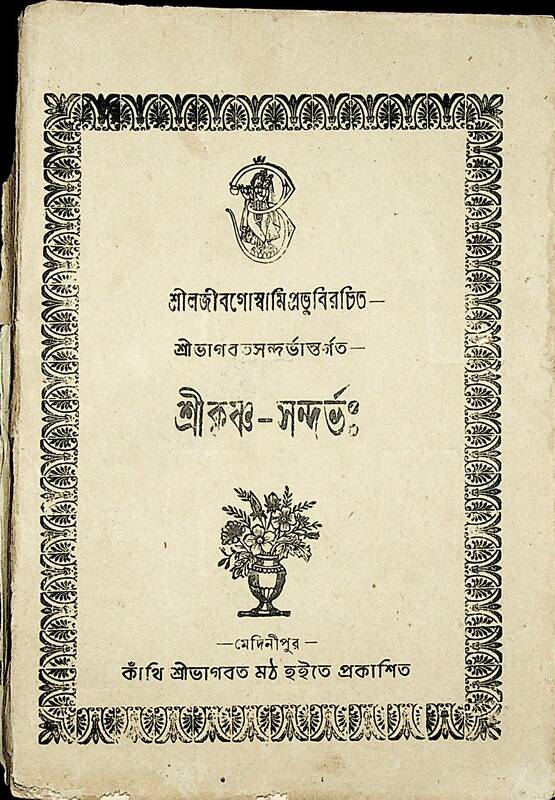 Publisher: Radha Raman Yantra, Bharampur. 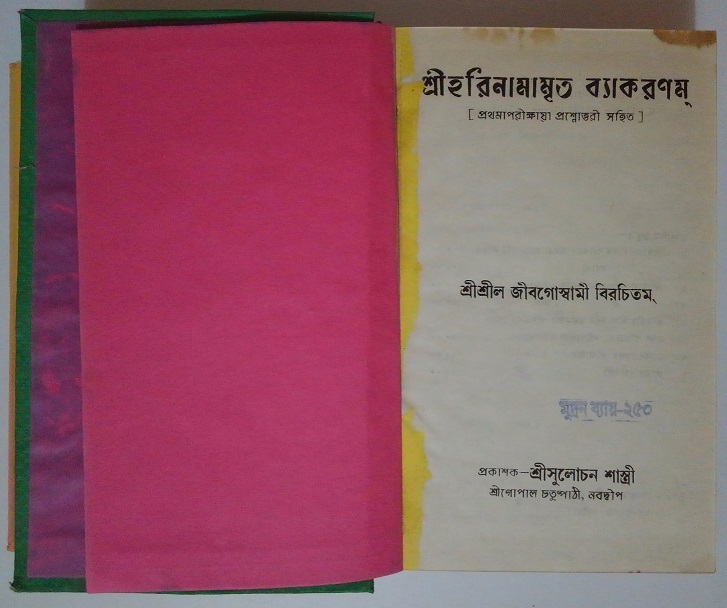 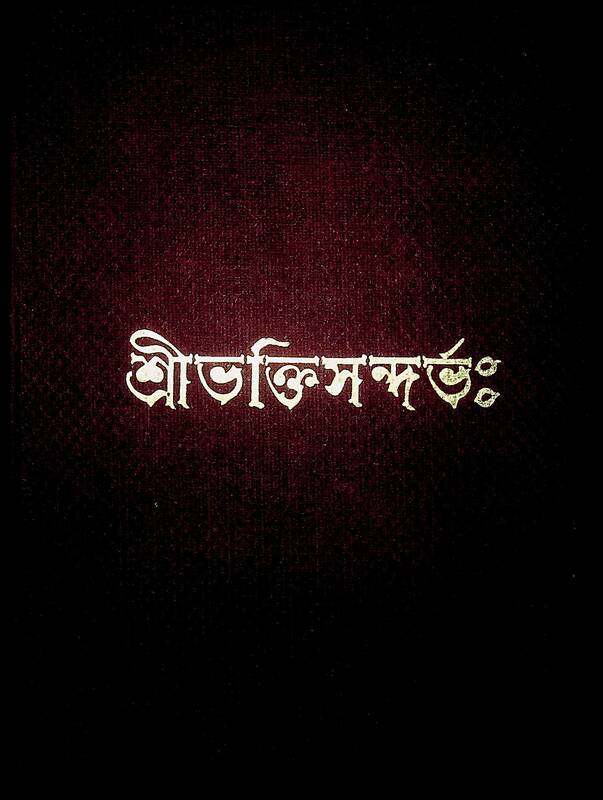 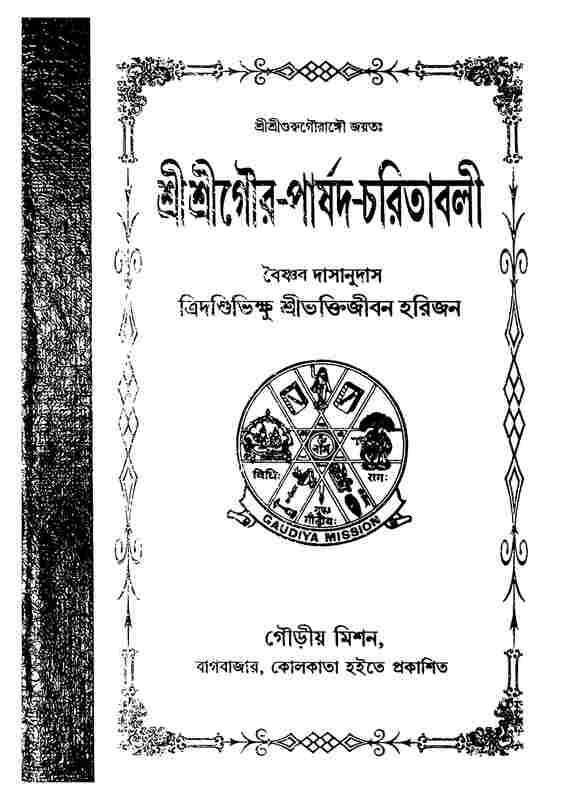 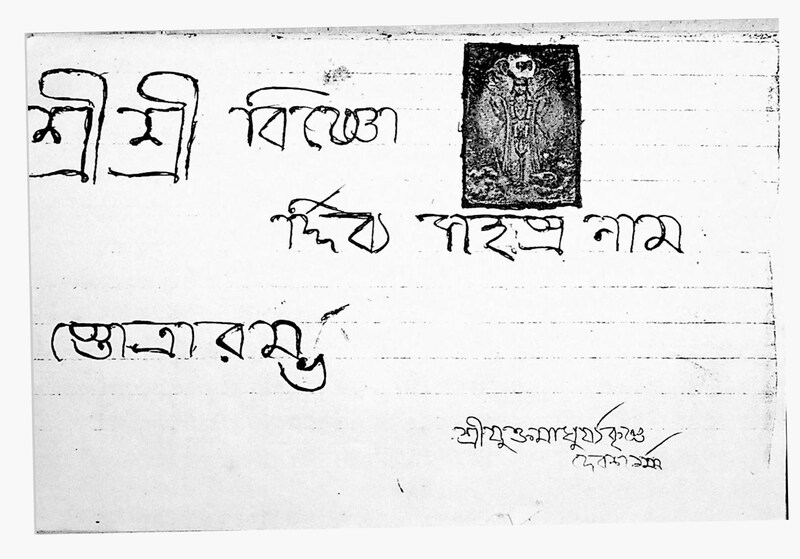 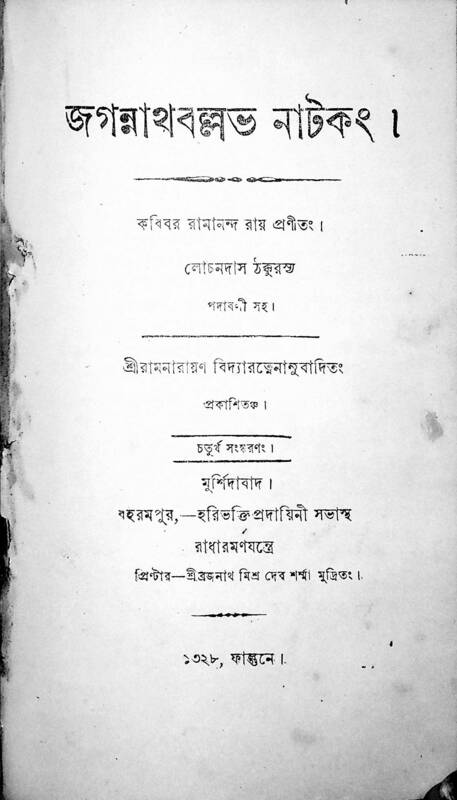 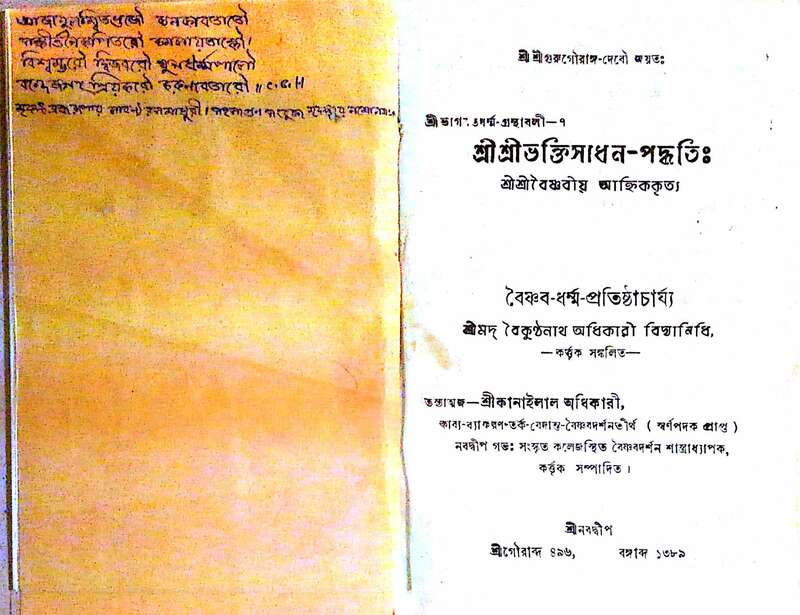 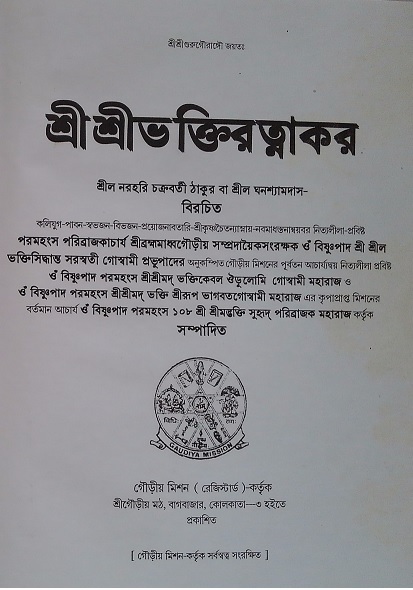 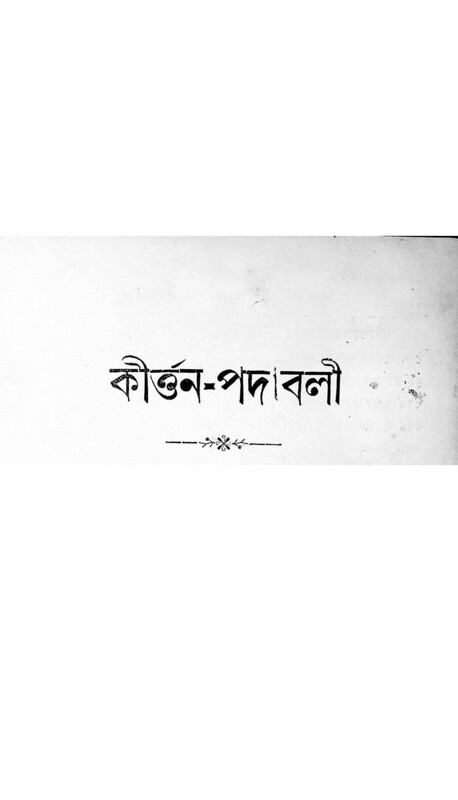 Publisher: Nabadwip Chandra Das, Lemuya, Nawakhali, Bangladesh (then India). 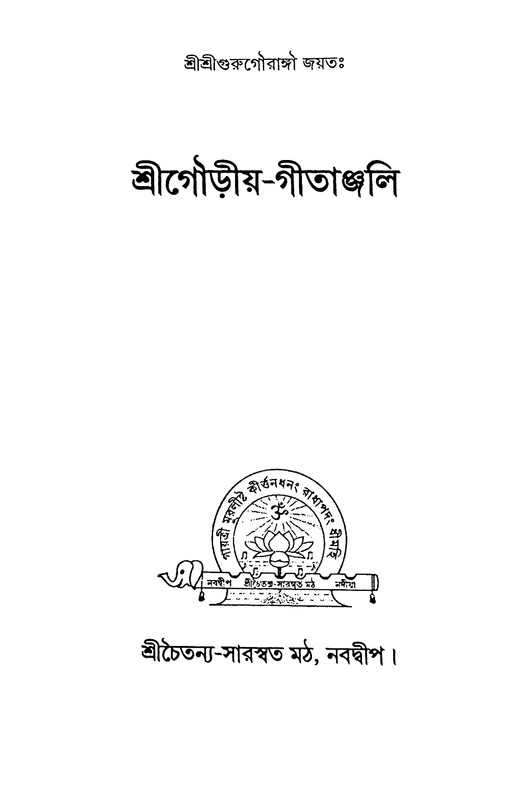 Publisher: Sri Saraswata Gaudiya Asan and mission, Nabadwip West Bengal, India. 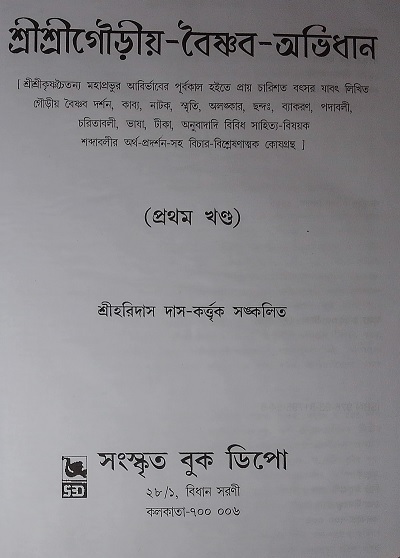 Publisher: Gaudiya Mission, West Bengal, India. 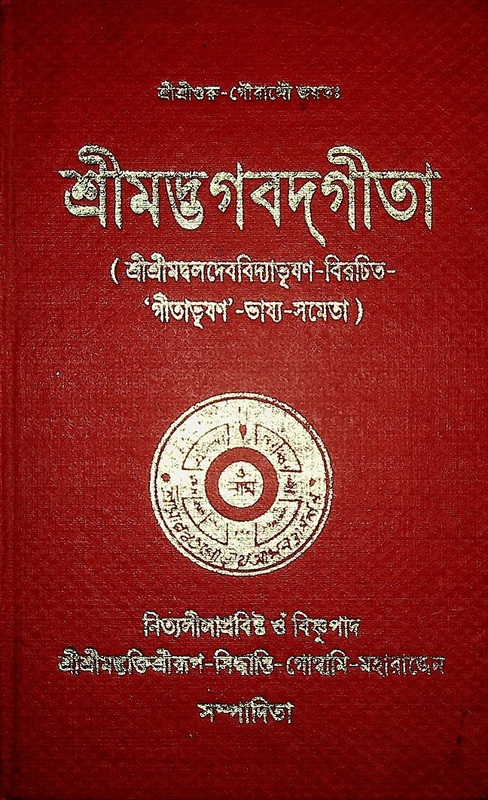 Publisher: Sadesh, West Bengal, India. 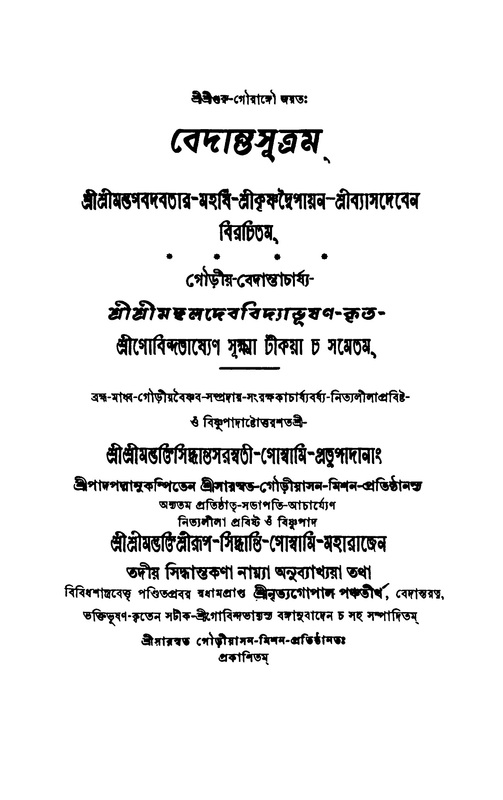 Publisher: Sri Chaitanya Saraswat Vidyapith, Varanasi, India. 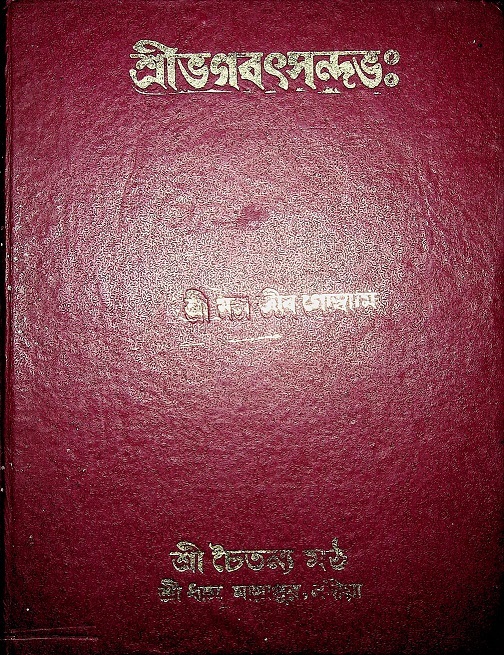 Publisher: Gaudiya Mission, Kolkata, West Bengal, India. 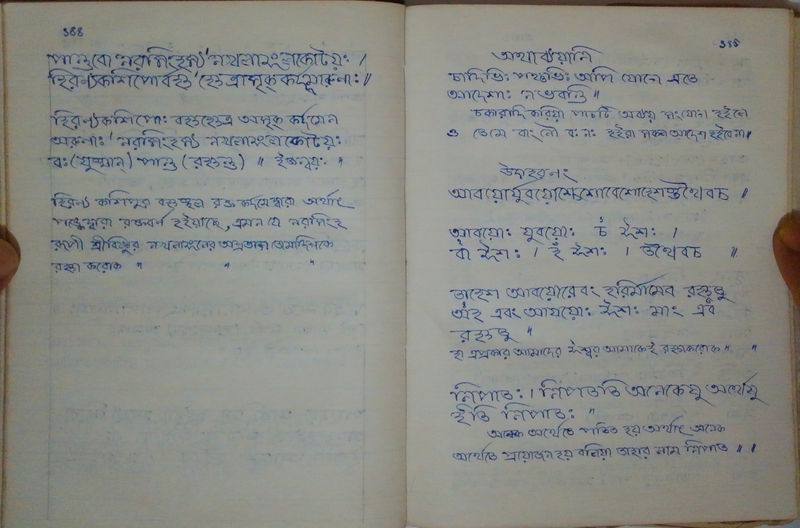 Publisher: Chaitanya Gaudiya Math, Mayapur, West Bengal, India. 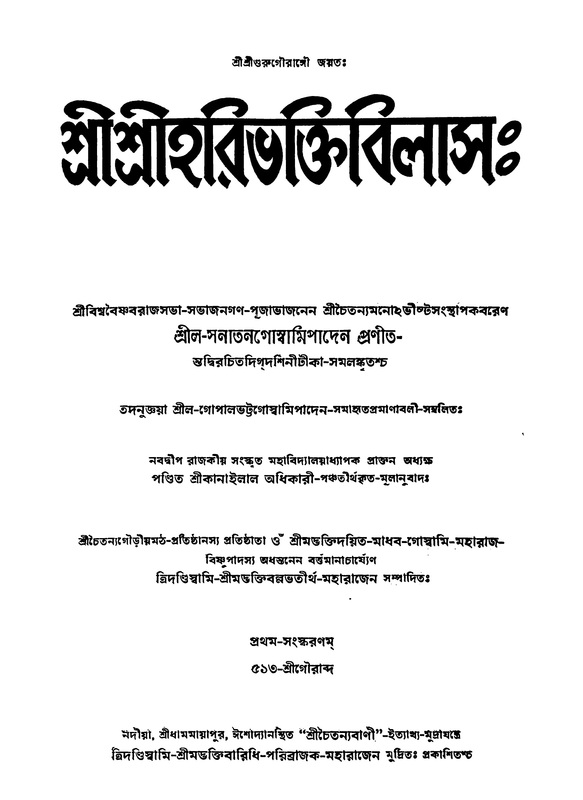 Publisher: Sri Chaitanya Math, Mayapur, West Bengal, India. 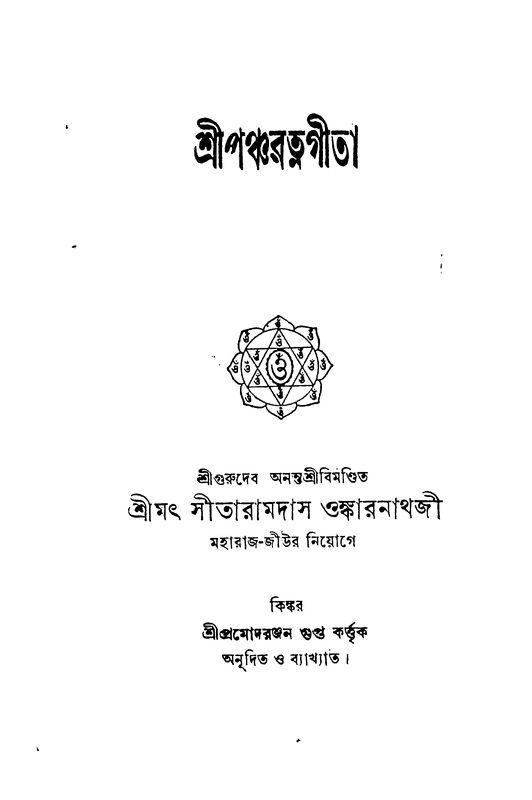 Publisher: Sri Chaitanya Gaudiya Math, Mayapur, West Bengal, India. 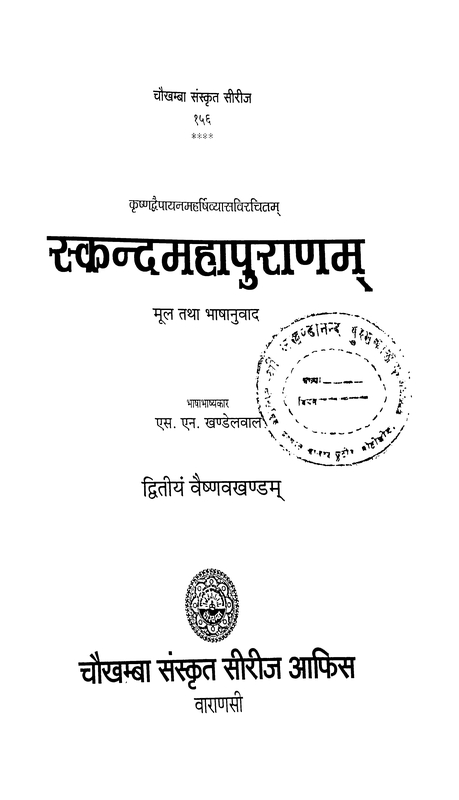 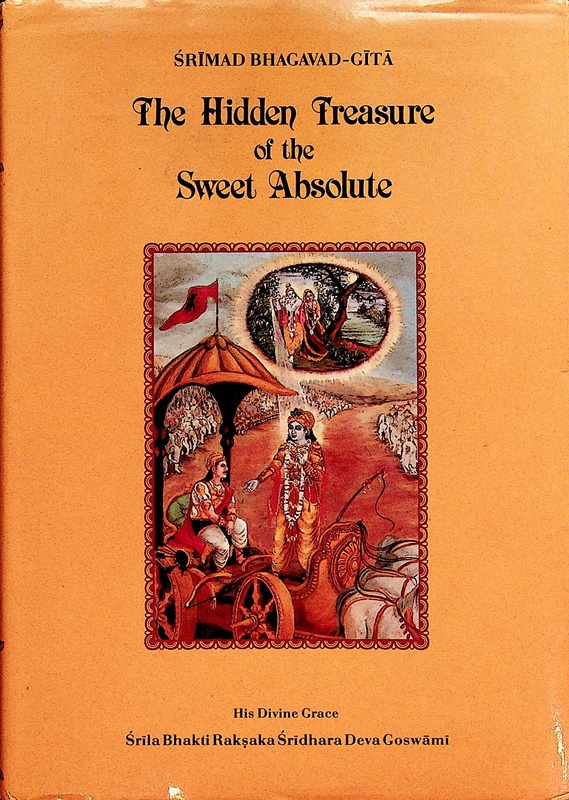 Publisher: Chaukhamba Sanskrit Series, Varanasi, U.P, India.